Size: approx. 3 mm. Photo: 09/13/11, 11 pm. 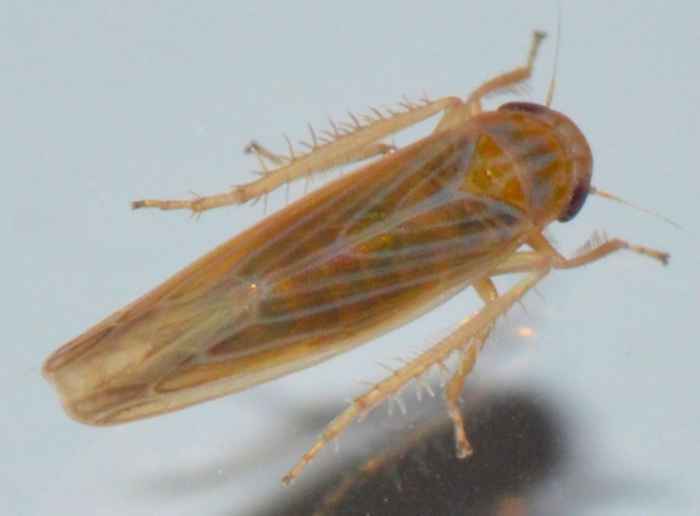 This tiny leafhopper is probably Balclutha neglecta but Dr. A. Hamilton (see link) pointed out that there are several similar species in Florida (16 in North America). They are common in lawns. This one came to the light of our living room window.